Spinnaker is your source for practical, effective, and quick turnaround on all types of fabricated components and repairs. 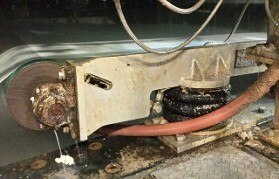 Custom and reverse engineering; flexible manufacturing; and a network of resources ensure that we can handle your smallest to most complicated equipment problems. 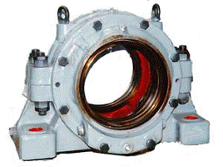 Large or small, from one to one-hundred, for dryers and all types of rolls and other machinery, Spinnaker is the best source for non-catalog bearing housings. 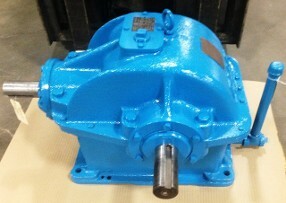 We rebuild and refurbish all types of older gearboxes. 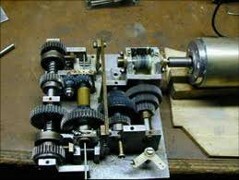 By reverse engineering and replacing the gear sets, bearings, and shafts we return your gearbox to like-new condition. 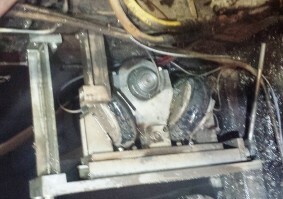 Special projects and ancillary equipment are right in our wheelhouse. Using our own and/or incorporating other suppliers components to create mechanisms and systems. Spinnaker designs, fabricates and installs felt stretchers for any press or dryer section. Felts stretchers can be equipped with hydraulic or pneumatic drive; manual or air motor squaring mechanism, and can be supplied with all stainless steel components for wet press applications. 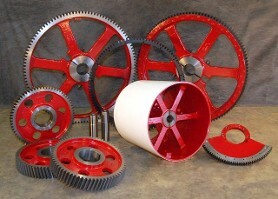 Spinnaker distributes for Power Train Services, a manufacturer of gearing for dryers in nylon, cast, iron and steel. Their specialized forms increase tooth strength up 17% over conventional gearing. 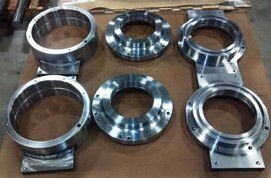 We also supply line shaft cone pulleys, line shaft studies, and gearing & line shaft field services.